My pack is broken… See below. It was a Sunday morning. In hindsight, not the best time to hitch. There weren’t many cars going past, and most of those were woman (who as a rule don’t pick up male hitch hikers) and people in their antique cars out for a Sunday drive. 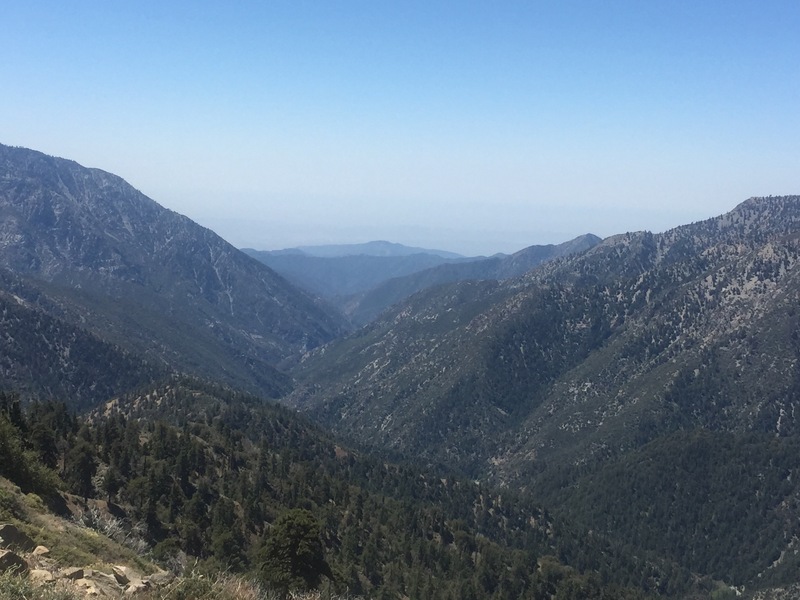 Inspiration Point: so named because on one side you can see the Mojave Desert, and the other the ocean. A waitress said in the evening you can see the lights on Catalina Island. At least on a clear day, which it wasn’t today. I was maybe 3 miles up the trail to Baden Powell when I just had to inspect my pack. It didn’t feel right or carry correctly on the left side. I found the channel in the hip-belt where it connects to the frame was ripping away from the frame! There is just no way I can make the 85 miles to Acton with a bad hip-belt. So I’m stuck in Wrightwood at least 3 days. Monday: order the new hip-belt from Z-Packs to be overnighted. We’ll see if I can make that timetable. Beautiful view! Sorry about the pack! I hate that you were delayed and had a problem, but the view is beautiful. I hope your timeline works and will be back on your way shortly! Sorry to hear about your pack. I had a Catalist pack that began to fall apart on my way down from Mt Forrester. These light weight packs do not stand up to heavy weight issues. The manufacture will tell you the recommended weight, but when you load up 10 days of food plus a bear container your testing the limits. The weight of food and bear canister from Kennedy Meadows will be a good test for your pack. The max weight is around 30 to 40 pounds for these packs. They begin to fall apart gradually. Be careful on Baden Powell. When I went through there were several people that got hurt due to falling and slipping on the ice. Keep up the good hike. Bummer!! 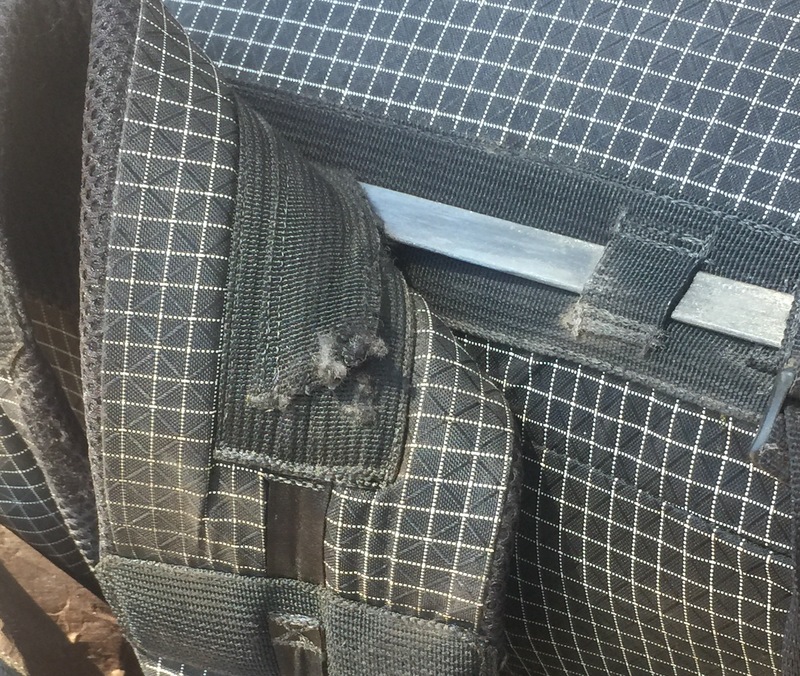 I never thought that an almost brand new backpack could fail this way and i would never have thought of contacting the manufacturer. I guess you must have thought of all of that during your preparation stage. So you knew exactly what to do. I hope you can rest and recover well for 3 days and get stronger as a result. BTW i am a female driver and i love picking up hitch-hikers as long as they look clean and friendly. Met the nicest people and were always so appreciative to get a ride when there are no other options.